When the Aztecs first came into the Valley of Mexico they built their pyramids on the lake they found there. When a new and bigger pyramid was conceived and the Aztec Empire grew in size and power, they did not search for a new site, they just built on it and around the existing one. In this manner, the pyramids are composed of different layers of historical periods. Mexico – The Earthscraper, designed by BNKR Arquitectura, is the Skyscraper’s antagonist in the historic urban landscape of Mexico City where the latter is condemned and the preservation of the built environment is the paramount ambition. It preserves the iconic presence of the city square and the existing hierarchy of the buildings that surround it. More images and architects’ description after the break. The Historic Center of Mexico City is composed of different layers of cities superimposed on top of each other. When the Aztecs first came into the Valley of Mexico they built their pyramids on the lake they found there. When a new and bigger pyramid was conceived and the Aztec Empire grew in size and power, they did not search for a new site, they just built on it and around the existing one. In this manner, the pyramids are composed of different layers of historical periods. The main square of Mexico City, known as the “Zocalo”, is 57,600 m2 (240m x 240m), making it one of the largest in the world. It is bordered by the Cathedral, the National Palace and the City Government buildings. A flagpole stands at its center with an enormous Mexican flag ceremoniously raised and lowered each day. 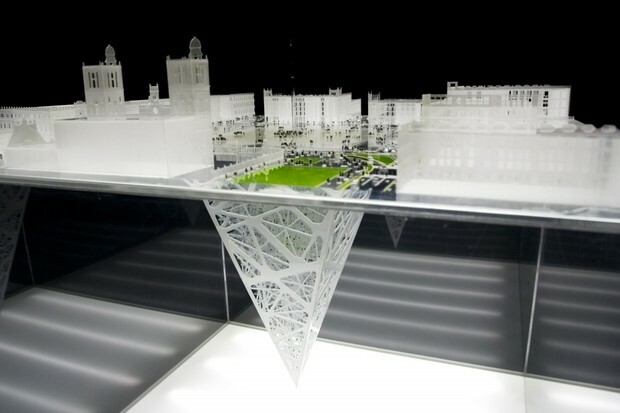 This proved as the ideal site for the Earthscraper: an inverted skyscraper that digs down through the layers of cities to uncover our roots. Friedman’s timeline is to launch offices off San Francisco next year, get a full-time settlement within seven years and eventually diplomatic recognition from the UN. Peter Thiel has made his fortune by being part of the next big thing: He was a co-founder of Paypal and one of the early investors of Facebook. 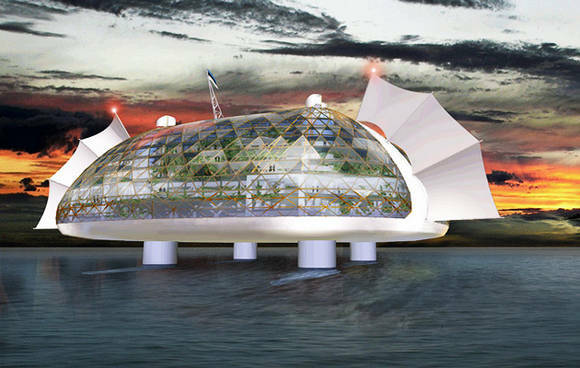 Thiel has donated $1.25 million to the Seasteading Institute, the brainchild of Patri Friedman, a former Google engineer and grandson of economist Milton Friedman. Here’s the gist: creation of libertarian, sovereign nations built on oil-rig-type platforms anchored in international waters and free from the laws and moral codes of any other country. Plans for the prototype include a movable, diesel-powered 12,000-ton structure that could house 270 residents. The goal would be to eventually link hundreds of the structures together. “The ultimate goal is to open a frontier for experimenting with new ideas for government,” Friedman told Details. Some of the changes: no welfare or minimum wage, looser building codes and few restrictions on weapons. Yahoo News points out that Thiel made news this year for putting a portion of his $1.5 billion fortune into an initiative to encourage entrepreneurs to skip college. Would you spend the night in this? The Sleepbox at the Sheremetyevo International Airport in Moscow resembles a vending machine from afar. We figured tourist lodgings in expensive cities couldn’t get more “basic” than capsule hotels. A Moscow company is now marketing “Sleepboxes” — freestanding, mobile boxes with beds inside — for travelers stranded overnight, or those in need of a quick snooze. The Sleepboxes are meant to be installed in airports — even at departure lounges — and rented for 30 minutes to several hours at a time. A Sleepbox is currently installed at the Sheremetyevo International Airport in Moscow. Measuring 1.4 meters wide, two meters in length and 2.3 meters in height, Sleepbox’s star feature is a two-meter-long bed made of polymer foam and pulp tissue that changes bed linen automatically. It also comes with luggage space, a ventilation system, WiFi, electric sockets and an LCD TV. The model unveiled in Moscow is a “hostel” version of the Sleepbox, which includes an additional bunk bed and fold-up desk. The design firm says that the box can be placed at railroad stations, expo centers and even on the streets of countries with warm climates. “We hope that Sleepboxes will be available all over the world,” says Krymov. “Today we are offering Sleepboxes to different companies in Europe, Asia, Africa and the U.S.A. Generally the price of one box starts from US$10,000. We’d like to see them in offices for fatigued workers, as well as shopping malls for tired boyfriends and husbands. BMW released the second chapter of its four-part documentary series, “Wherever You Want to Go,” which focuses on the future of mobility, cities, and technology. “The future just isn’t what it used to be” is a 6-minute, 42-second clip showing interviews with transportation and technology leaders such as Buzz Aldrin, Google’s Marissa Mayer, and former Zipcar CEO Robin Chase to discuss the future of the automobile. The experts all say the same thing: start thinking small. Despite the advances of aeronautics in recent years that may make suborbital travel possible, the automobile hasn’t quite made that same technological leap. Cars don’t work that differently from the way they did when they were first invented. And with the need to focus on sustainable transportation technology, you can shelve dreams of flying cars and jet packs for the masses (at least for the near future). Instead, start cozying up to the idea of small, efficient vehicles that drive themselves and are better suited for use in dense metropolitan areas. The weekly documentary series is leading up to BMW’s announcement of the official name for its Megacity Vehicle (MCV) on February 21. The vehicle is intended for cities with dense urban populations of more than 5 million people. Only sketches of the vehicle are circulating the Internet, but it’s assumed the car is going to be small, front-wheel-drive, and fuel-efficient–the exact opposite of what BMW is known for now. The commuter vehicle is such a departure from BMW’s typical mantra of cars for people who love to drive that it will be marketed under a new sub-brand, which is also yet to be named. DES MOINES — Iowa’s population grew increasingly urban in the past decade as residents continued to leave rural counties and flock to a handful of larger cities, 2010 Census data released Thursday show. Four of the state’s five biggest cities grew from 2000 to 2010, but only a third of its 99 counties did so. Seven of those counties — all near urban centers — grew more than 10%. Five counties in rural western Iowa lost at least 10% of their residents. The losses in rural Iowa are driven by a movement from factories and other goods-producing industries to more retail businesses, according to Iowa State University sociologist David Peters. He also attributes some of the losses to the combination of older residents dying and younger Iowans leaving for the bigger cities. He predicts rural Iowa will continue a historic trend of merging school districts and other government services. Fewer jobs will exist, Peters says, and small towns will slowly vanish. 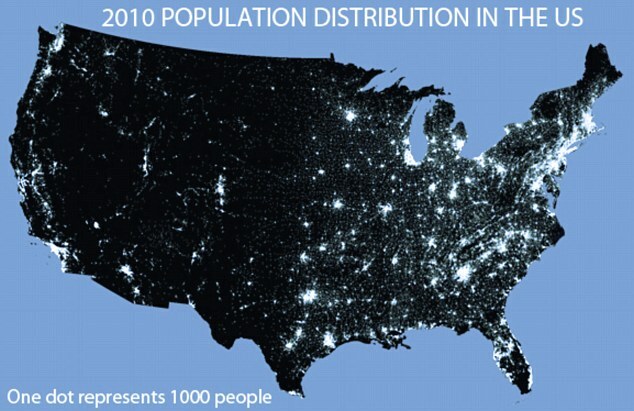 Click here for an interactive map with data representing where you live. The Census counted 120,031 more Iowans in 2010, a 4% increase from a decade earlier. More than half of that growth (58%) came from Hispanics. The number of Hispanics hit 151,544, up from 82,473 in 2000 — an 84% increase. The increase in Hispanics is evidence that the state fared better economically than others, says Mark Grey, a sociology and anthropology professor at the University of Northern Iowa. Grey says many are immigrants who found work in factories, slaughterhouses and farms. David Cook-Martin, a sociologist at Grinnell College in central Iowa, says some Hispanics may have come to Iowa after working in larger cities that were hit harder by the economic downturn. Polk County, the state’s largest and home to the capital city of Des Moines, expanded by 15%. Linn County grew more than 10% despite a massive flood in 2008 that ruined thousands of homes and buildings. Johnson County, home to the University of Iowa, gained 18%. Much growth took place in the Des Moines suburbs, including West Des Moines, up 22%; Ankeny, up 68%; and Urbandale, up 36%. BEIJING (AFP) – Authorities in southern China’s Guangdong province have denied planning to unite nine towns to create the world’s biggest city in the Pearl River delta, according to state media. “The reports were totally false. There is no such plan,” Guo Yuewen, spokesman for the Communist party’s provincial committee, was quoted as saying by the official China Daily on Saturday. 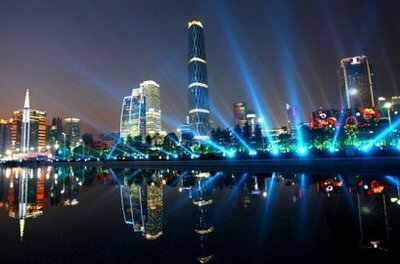 Media had reported on a project to unite nine urban areas — including both Guangzhou and Shenzhen — into a megalopolis with a population of 42 million, according to the China Daily. The Pearl River delta was one of the first Chinese regions to open up to foreign business in the 1980s and is now among its richest, a giant manufacturing hub that produces around 10 percent of the country’s GDP.